All homeowners want their house to be a warm and welcoming area, but knowing how to achieve this is not so straightforward. Some peoples home just seem to be immediately more welcoming and friendly than others as soon as you walk through the front door, and this was not an accident and it is something that they will have worked at to achieve. It is all about the interior design, and this can be broken up into lots of different sections which can make it quite daunting and confusing, but there is one simple way in which you can very quickly create that ‘homey’ feel, and make your house feel a lot more comfortable to be in and appealing to friends and family. 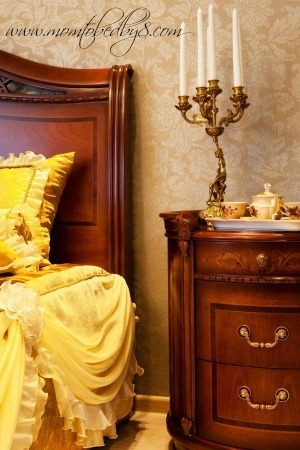 This is through the furniture that you have in the home, and this is possibly the biggest factor when it comes to developing style and consistency in the home. When furnishing a home you should break it up room by room, as this makes it a lot easier to manage and plan. In each room one of the most important things to remember is to not crowd it with too much furniture, as this will make it hard to get around and uncomfortable to be in. It is also a good idea to find one style and material of furniture that you like and then stick with this throughout the home, and this is how consistency is achieved throughout. The most attractive, warm and welcoming style of furniture to choose is wood, and this is a timeless look that can also suit pretty much any interior design style that you have. There are many advantages that wooden furniture brings, and there are also all kinds of types available such as mahogany, oak, walnut and plenty more, each with their own characteristics and advantages. Top wooden furniture suppliers, like Notation Furniture, will carry all of these types and all kinds of furniture too such as drawers, chairs, tables, wardrobes, cabinets and everything else you would need in the home. Once you begin adding high quality, stylish wooden furniture to your home you will immediately notice the change in atmosphere and how your house has become a lot warmer and more welcoming, and this is good for both you and any visitors that you have round.